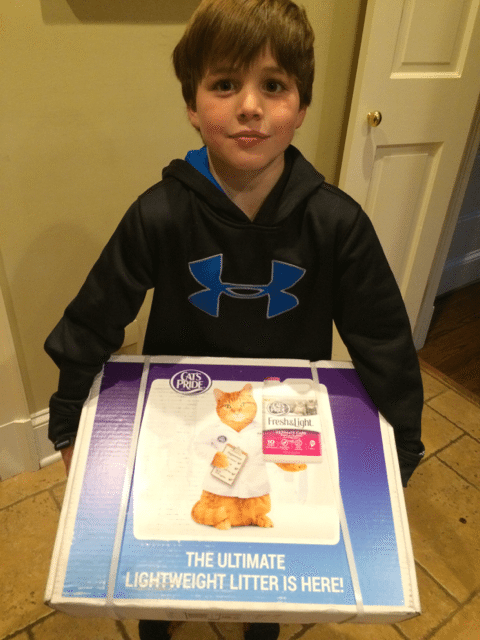 This post and giveaway for Cat Litter is brought to you from Cat’s Pride and One2One Network’s. When it is time to buy new cat litter, I usually cringe at the thought of carrying that heavy container in the basement near the litter box. Why does cat litter have to weigh so much? Forget about buying it at a bulk store, you might need a fork lift. I can’t imagine dealing with all this if I was not in good health. So what sort of options do you have to get the best cat litter for you and your cat will love? Our cat Lacey is the sweetest thing, especially being a “barn cat” and is so friendly. We want to be sure she is given the best food and cat litter. However, you want the best for your furry feline friend yet want to save your back. You also want a good litter that will do its job of absorbing and eliminating odors. 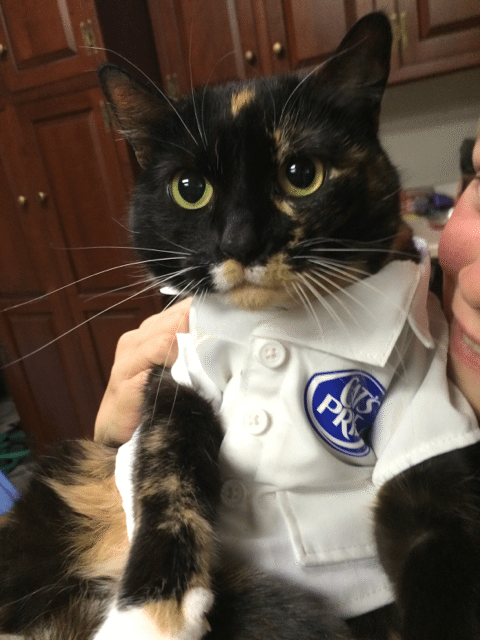 Our cat Lacey, recently tried Cat’s Pride® Fresh & Light® Ultimate Care™ which has no fillers and uses highly absorbent clay to keep everything clean and fresh. Lacey does not keep a clean litter box. She paws and paws until she finds a dry spot, which usually means a huge mess for us. So we put this new cat litter to the test to see if it held up for our fussy cat. 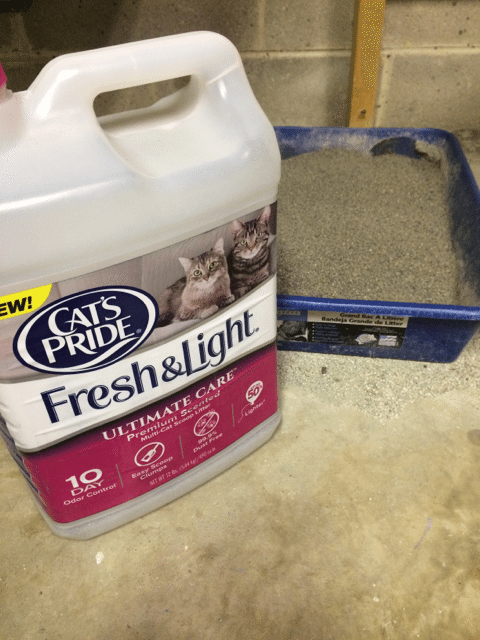 10-day Odor Control — Love that the first thing we smell in our garage is not our cat litter Check! 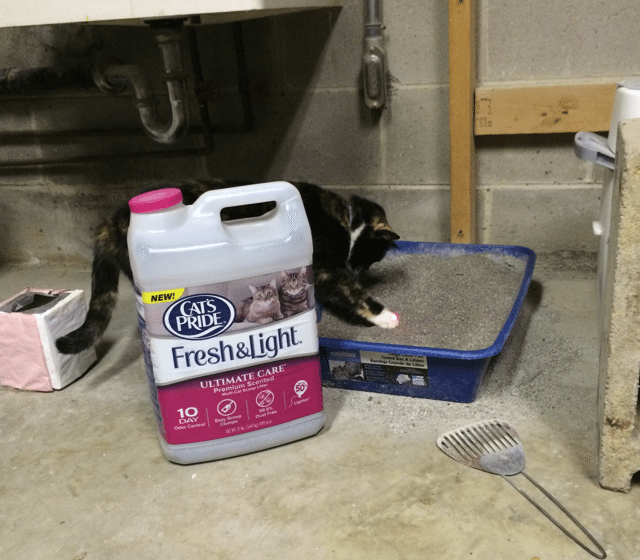 Est to Scoop clumps– One of my favorite features of a good cat litter. Makes my job that much easier Check! 99.9 % Dust Free– nothing worse that inhaling all that dust when you are cleaning out the box. Check! Up to 50% lighter– even my little guy was able to carry the box it was delivered to us in. Check! Are you convinced this is the Best Cat Litter for you? Close to Home is hosting a giveaway for one (1) 12lb. Cat’s Pride Fresh & Light® Ultimate Care™ container (shipping to be fulfilled by sponsor) Enter the Rafflecopter below. I think she is smiling in this photo don’t you? I’m actually looking for a litter that won’t smell up as fast as the one I’m using does and my cats would love. I just might give this a try, thank you. This looks like a great product! Love that it’s light-weight, because I agree… cat litter usually weighs a ton! I always make my hubs get it. I can pick this one up. Haha! Looks like a great product. Will check this out. We just added a new kitty to our home! I look for a cat litter that works, is cost effective and safe too. As the household cat litter scooper, I am always looking for a better litter. I will definitely have to give this litter a shot! We have dogs but totally know how pets can stink up the place! I bet this is a great option! I love the shirt on the cat! How cute! This looks like a good cat litter. We need to try this! 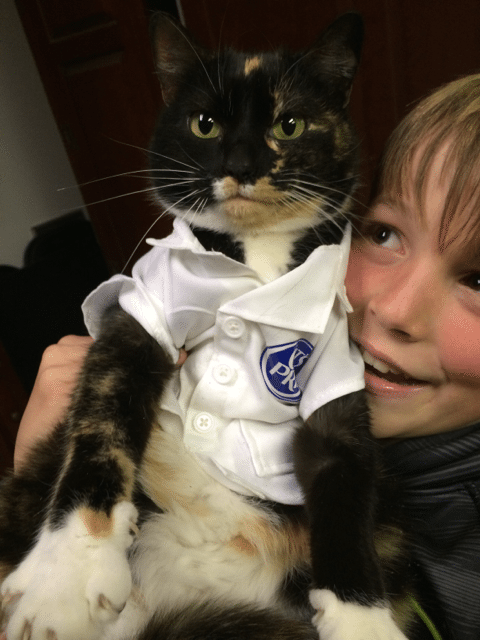 Aw, your kitty is so cute in his little jacket! We just recently adopted a now 9 week old kitten and I have to say he’s pretty awesome. I look for a litter that can keep everything smelling fresh and clean. If our cat Markie was an inside kitty she would so be using this kitty litter. But so far since we adopted her, hubs said no to her being an inside one. I dont have an inside cat, but my neighbor does. She want something that absorbs and takes care of odor. Awe, look at that cat in that jacket! So cute. I don’t have a cat, but sounds like an awesome brand! I think it is true that pets take after their owners because my oldest cat HATES litter that has any type of scent in it. And I have serious issues with too much fragrance. That cat looks pissed to be dressed up! I dont have any kitties but looks like a good brand! I have 3 cats but have never tried this brand of litter – i’ll have to give it a shot. Your cat looks adorable! I love calico cats! We have two cats inside, and one outside. We have used Cat’s Pride before, and we loved it! I don’t have any cats. I do have a few friends that do and complain about their cat litter. I will definitley refer them to Cat’s Pride! I look for ones that eliminate odors and are quality brands. My cat is picky so I can’t get the cheap brands! What a sweet photo of your kitty and son – precious! Glad this cat litter is working out for you! This sounds like a great litter. You can really tell the difference with the good brands. It needs to absorb moisture and odors well. I’m allergic to cats so we’ve never had any but those photos are adorable! I have to say…one of things I hated most about having a cat was that darn little box. Glad to see that there’s a brand that actually helps cat owners and the kitties. Aw what a cute kitty you have and this liter sounds awesome. I will have to try it with my fur babies. That stuff pretty much checks all the boxes. I have a friend with three cats, so I’ll be letting her know about this. Thanks! We don;t have cats, but it really sounds like this is a great brand for cat parents.